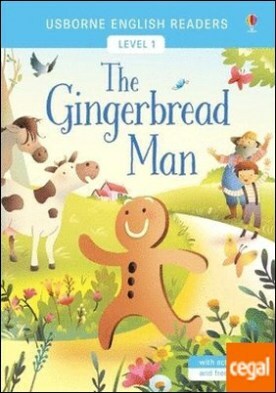 The gingerbread man por VV.AA. A popular European folk tale. A little old woman makes a boy out of gingerbread. When she opens the oven, the gingerbread man jumps out and runs away. Animals, farmers and schoolchildren join the chase. Finally a fox offers to carry the gingerbread man across a river. How kind of him – or is it? The Usborne English Readers series is a new range of graded readers in simplified English for younger learners. They include activities, glossaries and a full audio recording of the text in both British English and American English.